Although the new library has been open for several weeks now, there are still a few things being installed that had been on back order – including our building signage. We love the way it turned out though, so it was well worth the wait! We will also have a new bike rack and benches installed outside soon. We have now been open nearly a week, and the community has been full of compliments for the new building and the improved services! 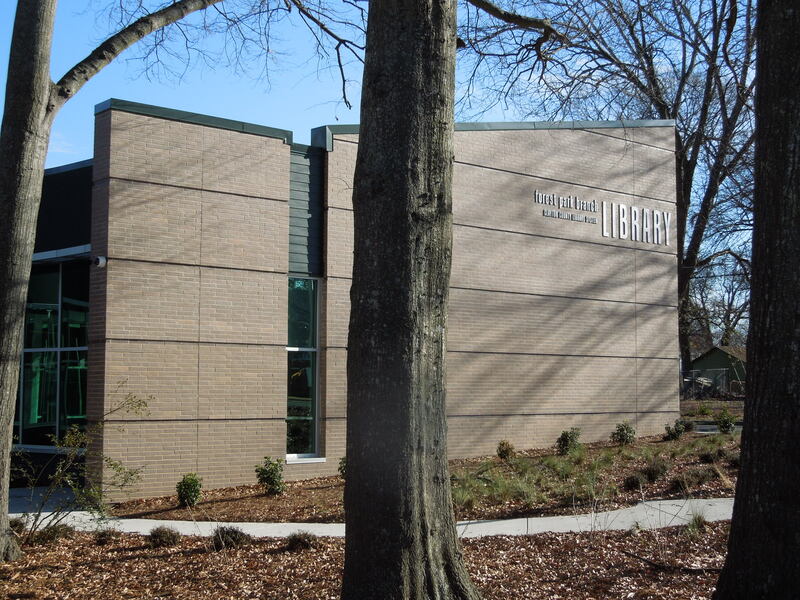 Thank you to Curt Yeomans and the Clayton News Daily for supporting our new library branch! This week has been a flurry of activity as all of the books are moved into the new library, the new computers are installed and configured, and more furniture is moved in. across from the First Baptist Church. Additional parking is available in the church lot. 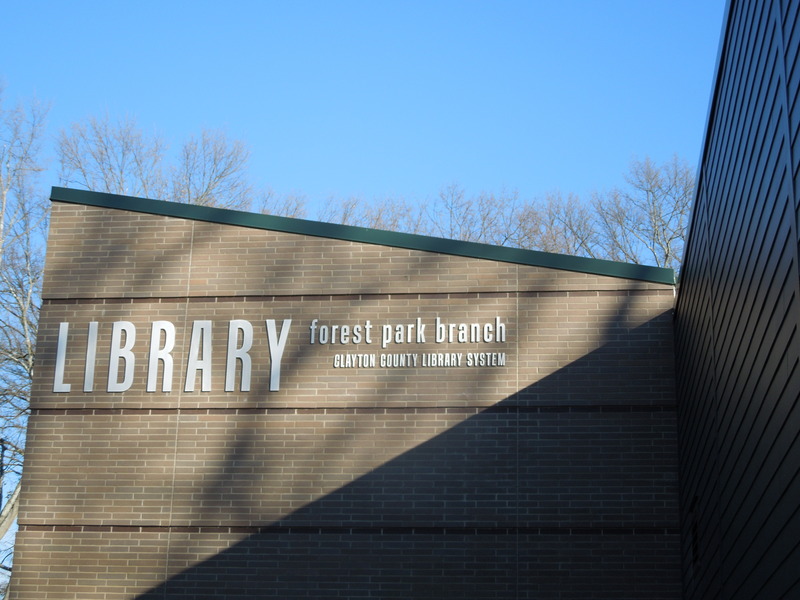 Note: The old Forest Park Branch Library will be open through Saturday, December 8.